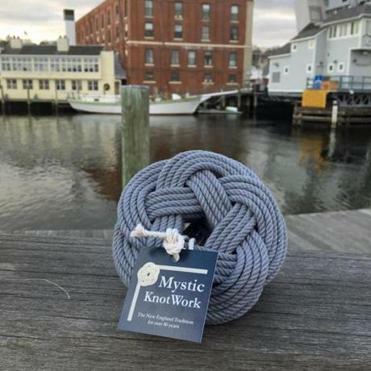 Colorful coasters that look like sailor knot bracelets from Mystic Knotwork. Sometimes, giving the wrong gift can create a memorable moment, like the time the gift tags got switched and Diane’s Grandma Chapman opened a pair of size 34W men’s Levis. (A class act always, she smiled serenely and said, “Why, thank you!”) Usually, though, bad gifts are just bad — which resulted in $90 billion of holiday merchandise returns last season, according to the Wall Street Journal. That translates to 13 percent of all holiday gifts landing on the “unloved” list. Among the people who are Chic-er Than the Rest of Us: artist Sara Fitzgerald O’Brien and husband Miles O’Brien, who launched Sara Fitz, a lifestyle brand, in York Harbor, Maine. We’re digging Sara’s watercolor art prints, comprising 18 designs that represent treasured elements of New England: hydrangeas, Nantucket lightship baskets, those famous canvas totes, and a simple striped sailing tee. Framed in white wood, the prints are 20-by-20 inches, with a mat opening of 10½ inches square. The line includes dishware, textiles, trinket boxes, and other home goods, plus gift wrap printed with Corgis ($12.50 per roll). Way too cute. They will donate 10 percent of proceeds of the paper to Almost Home Rescue of New England. Watercolor art prints, $195. Some items available at Day Trip Society, 4 Dock Square, Kennebunkport, Maine; order online at www.sarafitz.com. Because who doesn’t love a pom-pom? 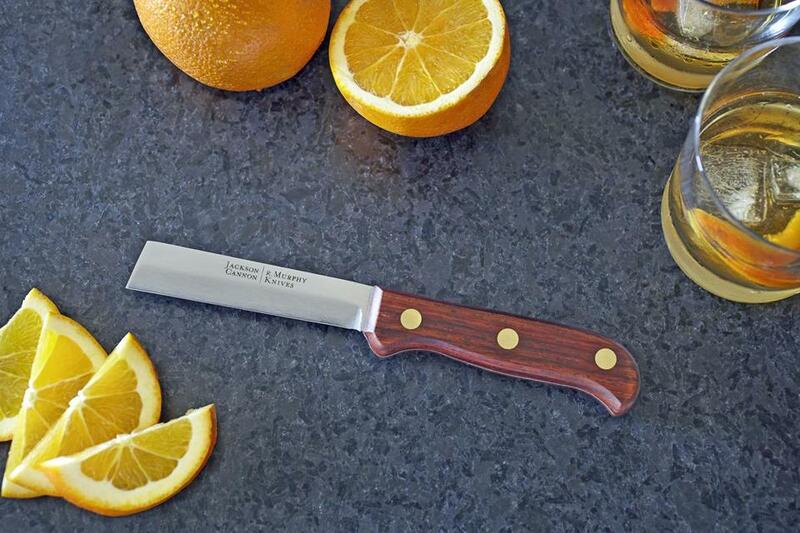 The uber-mixologist on your gift list will appreciate a multipurpose bar knife from R. Murphy Knives. Sorry, Aaron Kizer (who uttered the sarcastic comment above), but we do like getting a really good knife. The uber-mixologist on your gift list likely feels the same. Herewith, the Jackson Cannon bar knife, a partnership between Jackson Cannon, the co-owner and bar director of the Hawthorne bar at the Hotel Commonwealth and 167-year-old local knife makers, R. Murphy Knives. This genius multipurpose tool cuts citrus, notches fruit, removes fruit seeds, makes spiral-cut citrus peels and twists, and scrapes counters (on the flat side.) $79. Available at the Boston Shaker, 69 Holland St., Somerville, or online at www.rmurphyknives.com. 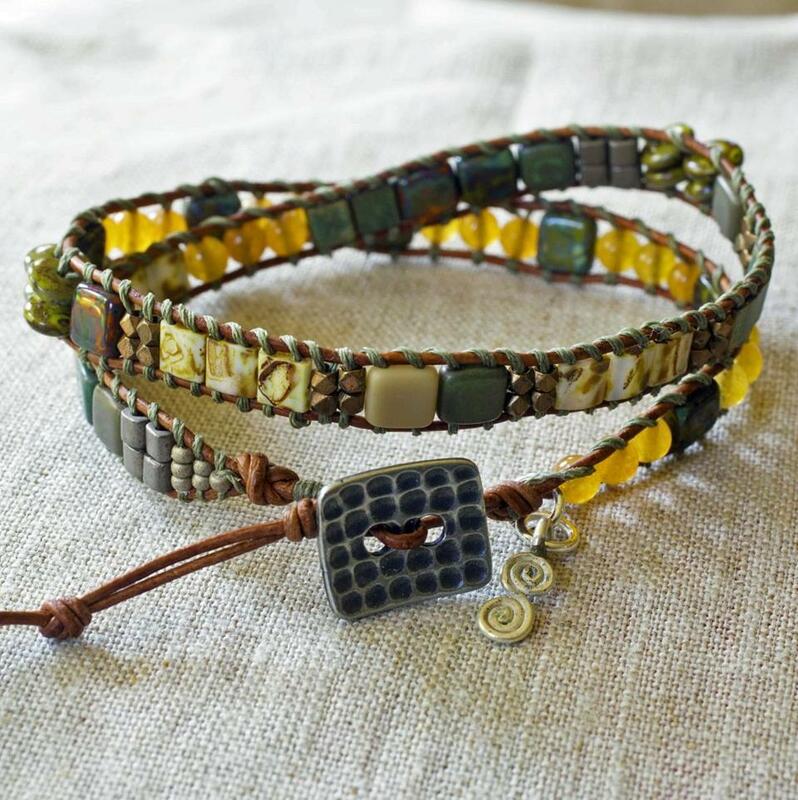 Artist Cindia Sanford of Newburyport makes snazzy, twisty wrap bracelets.